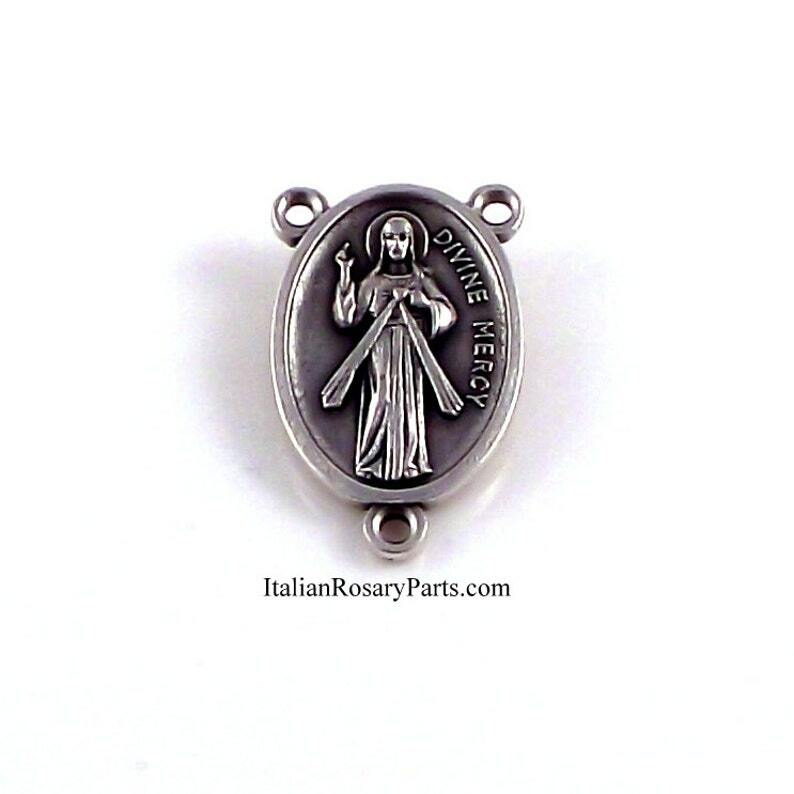 A double-sided rosary center with the Divine Mercy of Jesus on the front and Sister Faustina on the back. Silver-oxidized metal. Measures 1" high. Made in Italy. Beautiful ornate center connector. Thank you! Beautiful Piece and it works Nicely with my Custom Rosaries!